A handful of important articles from the news and other environmental organizations from the past month. Scroll down and click underlined sections of text for more details. The Bill Emerson Good Samaritan Food Donation Act was passed in 1996 to protect food donors from liability. This past month, The Food Donation Act (HR 952) was introduced to the US House of Representatives to enhance current protections. Goal: feed our 50 million food insecure Americans with the 40% of food that we currently waste. Feed people, not landfills. Read more about food donation in schools on our blog part 1 and part 2. A local study that showed 78% of Milwaukee streams were polluted with polycyclic aromatic hydrocarbons (PAHs) from coal tar. PAHs cause cancer, genetic mutations, and damage reproductive health. The city took action and banned the use of coal tar sealers. Coal tar is commonly used as a sealant throughout the east and midwest but is under increasing scrutiny. 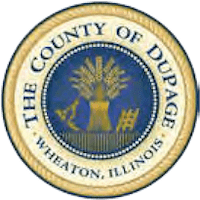 In Illinois, the towns of South Barrington and Winnetka, and the Villa Park and Wilmette School Districts have enacted coal tar bans. Be sure to use an alternative next time you seal your drive! The Center for Watershed Protection is working on creating a stormwater credit for urban tree planting. They’re doing their research to quantify how trees help reduce flooding and contribute to water quality. Check out the figure they made showing all the different impacts trees have on stormwater. The Mariana Trench is the deepest part of our oceans and it hasn’t escaped pollution. Scientist have been able to study lifeforms from the trench to find they contain chemicals used in manufacturing. This demonstrates how far-reaching – over time and space – our use of harmful chemicals can be.